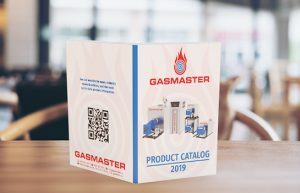 2019 Product Catalog Now Available | Gasmaster Industries Ltd.
We’ve released our 2019 full Product Catalog for download, display, and dispersal. In it, you’ll see the newest photos of our Mobile Boiler Units and the latest numbers for each of our Gasmaster hot water boilers. Find a link to download the full document on our Documentation page or click here (34.8 MB PDF). For physical copies, please get in touch with our main office.